In November 2011, Mexican officials found the carcass of a Mexican gray wolf near a ranch in Sonora, poisoned and left to die.A few weeks later, in December, officials found three more dead wolves, all poisoned, their skin showing similar lesions. The wolves belonged to the first Mexican gray wolf pack released from captivity onto the Mexican landscape since private and government eradication campaigns nearly drove the species extinct in the middle of the last century. New research has found some carnivores in Kananaskis Country have altered their behaviour in response to the presence of humans.The results come from a University of Victoria master’s student, who studied data from motion-triggered cameras in Kananaskis and the more remote Willmore Wilderness Park north of Jasper.Sandra Frey says she noticed wolves in K-Country became more nocturnal so as not to bump into people during the day. Coyotes were a purely North American animal that lived in the West. Now they’re everywhere, and state-sponsored hunting that obliterated wolves and mountain lions is a major reason. 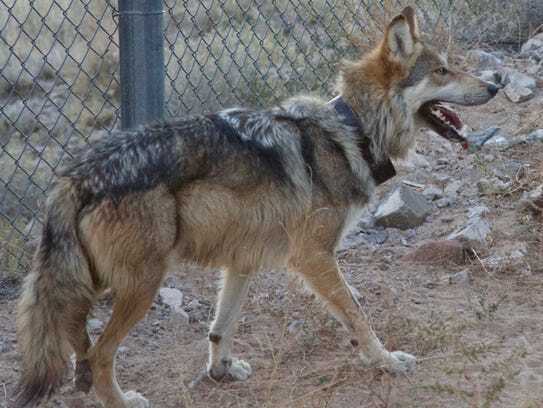 Arizona – -(Ammoland.com)-The following is a summary of Mexican Wolf Reintroduction Project (Project) activities in the Mexican Wolf Experimental Population Area (MWEPA) in Arizona, including the Fort Apache Indian Reservation (FAIR), San Carlos Apache Reservation (SCAR), and New Mexico.Additional Project information can be obtained by calling (928) 339-4329 or toll free at (888) 459-9653, or by visiting the Arizona Game and Fish Department website at azgfd.gov/wolf or by visiting the U.S. Fish and Wildlife Service website at fws.gov/southwest/es/mexicanwolf. For information on the FAIR call (928) 338-4385 ext. 226 or visit wmatoutdoors.org. The population of critically endangered red wolves gained another eight puppies born at Zoo Knoxville May 10. The litter of rare puppies comes at the heels of two other litters born in North Carolina in April.